Attended a webinar this morning to hear about Googles Adwords updates. One BIG update from Google, is “expanded text”. For Google Adwords advertisers or for more detailed information about this feature, visit Googles Guide to Expanded Text Ads. You’ll definitely want to create new ads to replace your old ones that may not be set to the expanded text ads. Old ad formats will no longer be valid after January 31, 2017. So you’ll need to re-create your campaigns so that the expanded text feature is active. Wild Web West has negotiated and engaged in a partnership with a top level Google Adwords Partner. We will serve Google Adwords advertisers to improve the results of their Google Adwords campaign in 2017 forward. You don’t have time to manage your Google Adwords campaign properly. You can’t keep up with the changing technology and feel a bit overwhelmed by it all. You might be wasting money because your campaigns aren’t hitting targets you have established. You aren’t happy with the performance of your existing Adwords agency. You are losing opportunities to competitors. … of other reasons not mentioned above. I would be delighted to support your Google Adwords campaigns in 2017 and beyond as the liason between your business and the expert team of Adwords pros that Wild Web West has partnered with. The first step I would recommend is to allow us to provide you with a FREE Account Audit. There’s no risk or obligation, but will show you where waste may exist in your campaigns and any uncover any weak points. Visit this link at YourMarket.US to get that free audit started. It takes a minute or less and we’ll have some real time data to start our conversation. This is a new feature Google has added to adwords campaigns when the user goes from their desktop to mobile or transitions to and from other devices. 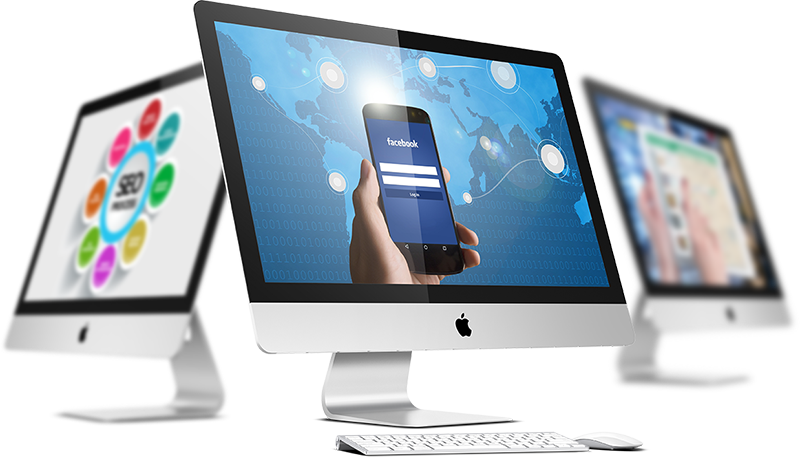 The cross device conversion tracking allows us to optimize by the first or last click. Our adwords team tends to start with the first click. We want to make sure the campaigns we manage are with the person through the entire journey. Someone might be searching for “best dentist in Lewiston Idaho”. What we want is to make sure we get credit for the click on the ad, as long as its contributed at some point to the conversion. More on this new feature in the coming months. Google is trying hard to refine and provide better data results so that advertisers can make better decisions. They’ve improved the Demographic and Gender targeting that can give us a whole lot more metrics to help us understand our prospects and their behaviors. The important mantra here is “Don’t go on a gut feeling.” We want to use data to make decisions, not what you think to be true about your customers. Data results often uncover trends and behaviors that we didn’t even know about. So let the data tell the story and then accommodate that data by making adjustments from there to change bidding strategies. Click to Message – click text and have a text conversation with business. This is only for advertisers who can respond to text messages quickly. There needs to be some level of infrastructure in place such as a dedicated staff member who is able to respond fast to text inquiries. We can put some of the clicks go to phone and some going to text. Price Extensions – (these were called table extensions when they first rolled out). Price extensions offer a good way to show case your services and range of products. This new feature is mobile specific so it’s available to campaigns directed to mobile devices only. Your product or service pricing used that is available in the extension must be visible on the website or landing page to match. If price varies you can put a “priced from $41.99” or “priced up to $41.99”. A tangible price must be entered. You can’t use TBD (to be determined). Demographics for Search – In display campaigns, you can target different age groups, such as age ranges (25 – 35, for example), you can target genders, and you can target parental status. You can now see age and gender performance in the Search Network. You can delete or modify the bid amount for a gender or age group not converting as well. Betas are available to Google Partners only, not anyone else. Our team has to apply for betas, and not all accounts are selected. The new betas are Top Secret and so we will not be going into specifics about what the new betas are but we will release new information as Google moves these beta features into the active status. If you’d like to hear more from Wild Web West in 2017, regarding new features and things you should know about Google Adwords campaigns, please subscribe and I will keep you notified. My name is Mary Mangold and I’ve been providing web and digital services through Wild Web West since 1999.